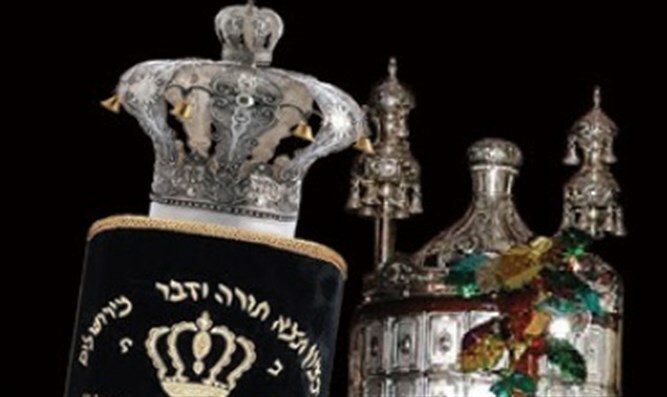 Yad L’Achim’s Torah Scroll winner receives news ahead of Shavuot holiday. This past week, the Yad L’Achim anti-assimilation organization held their annual raffle for a Torah scroll. The winners of the raffle were the Sadeh family from Petah Tikva. After thanking the Yad L’Achim representatives, the winners mentioned that they had always dreamed of getting a Torah scroll to donate, but that they never believed their dream would come true. This is the organization’s eighth annual Torah scroll raffle. The proceeds from the raffle help fund Yad L’Achim’s anti-assimilation activities, including helping Jewish women and their children escape from Arab villages, and to combat efforts by missionaries to convert Jews. The raffle was conducted under the supervision of an accountant and with participation from Yad L’Achim activists, who signed up donors to participate in the raffle. The event culminated in the announcement that the winners had been selected, with the Sadeh’s family name appearing on the computer screen. Yad L’Achim spokesman Shlomo Rizel then called them and to notify the Sadeh family that they had won. The Sadeh family’s initial reaction was very skeptical. “We’ve never won a raffle. Is this a prank?” They asked repeatedly if the call was authentic, initially refusing to believe they had actually won. Only when the host of the raffle sent a picture of himself next to a computer screen showing that the Sadeh family form Petah Tikva was the winner did they realize that they have in fact won.